Heaven Hill Distillery, has announced the launch of the second edition of its Old Fitzgerald Bottled-in-Bond Kentucky Straight Bourbon. Old Fitzgerald Bottled-in-Bond – Autumn 2018 Edition (50% ABV) has been aged for 9 years, in barrels which were laid down to mature October of 2008. 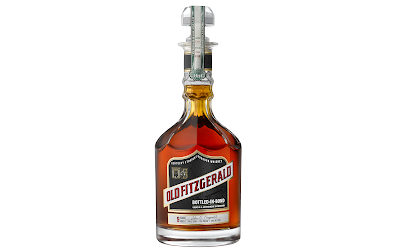 This latest release in the Old Fitzgerald Bottled-in-Bond Series, has met the strict requirements of a bottled-in-bond bottling, being the product of a single distillery from a single distilling season, aged for a minimum of four years and bottled at 100 Proof. The Old Fitzgerald Bottled-in-Bond Series, is said to reflect the traditions of both the Old Fitzgerald lineage and the bottled-in-bond designation, and will see a new release added during each spring and autumn for the next five years. Commenting on the launch of the series earlier this year, Denny Potter, Heaven Hill Master Distiller, said: “For 82 years Heaven Hill Distillery has nurtured and produced historic brands of quality and heritage. It is an honour to join a famous line of distillers behind the Old Fitzgerald name and to continue to uphold the tradition of the brand through its bottled-in-bond designation, which dates to the early 1900s”. Old Fitzgerald Bottled-in-Bond – Autumn 2018 Edition, will be available later this year, in limited quantities across the US, for a RRP of $90.00.